Haley Brechwald is a freshman this season at Pitt from Springfield, Virginia, where she trained at Capital Gymnastics. 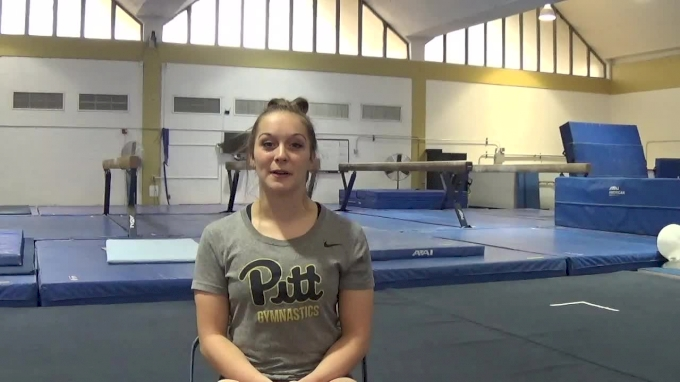 Brechwald is an outstanding all around gymnast who will make an immediate impact for Pitt this season. Bechwald will bring a splash to the vault lineup with a 10.0 start value with a Yurchenko 1.5. Brechwald showcases powerful tumbling along with clean lines up bars and beam. 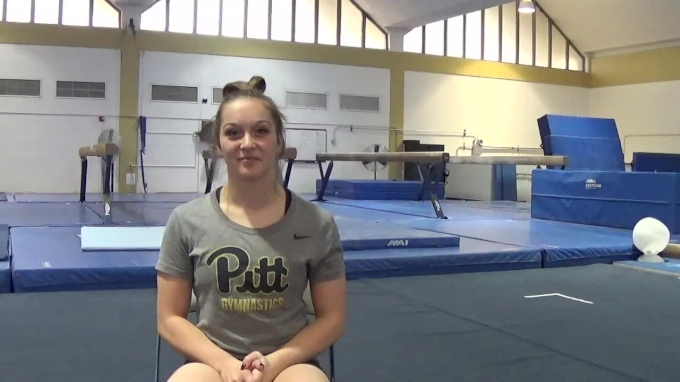 FloGymnastics recently sat down with the incoming Pitt gymnast. My intended major is political science. My favorite thing to do on our days off is to go downtown. There are so many different parts of the city to explore and there is something for everyone to enjoy. What is your favorite place on campus to study or visit? My favorite place to study is at a table outside of the library on a nice day. It is peaceful and I love studying outside. I miss the home-cooked food the most. My mom makes the greatest meals. Biggest surprise about college gymnastics so far? The biggest surprise about college gymnastics so far is how quickly I was able to bond with the team and how much our team feels like a family. My favorite thing to do with my teammates outside of the gym is going to Shadyside and hang out at a cute coffee shop or place to eat. My favorite sport outside of gymnastics is baseball. The game can be so exciting, yet the ballpark has such a laid-back and fun atmosphere. My favorite TV show is “This is Us”. There are so many good messages about life in the show that are relatable to everyone. My favorite event is floor. I love to dance and I love the adrenaline rush of tumbling. My favorite skill is a Jaeger on bars. Once you let go you feel weightless for a few seconds and then it is such a satisfying feeling to catch the bar again. Something many people do not know about me is that I love to wakeboard in the summer.